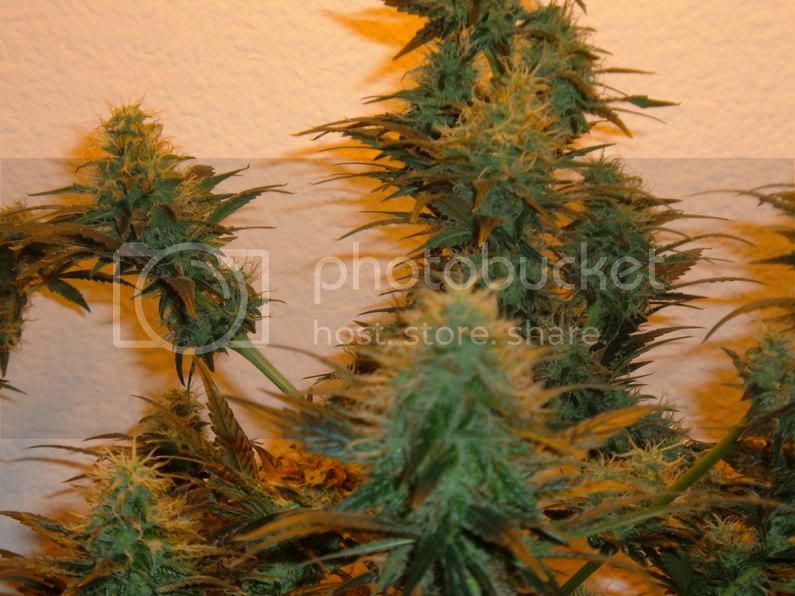 Looking very nice Chief, what strain are they? Thanks Tekno...... 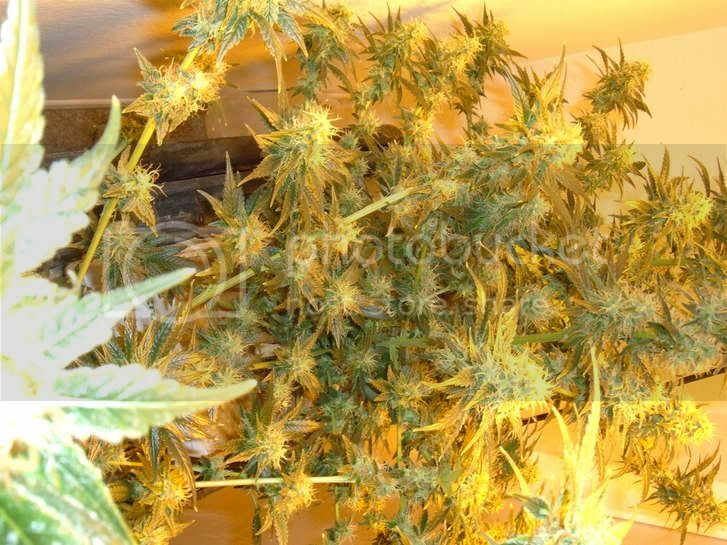 I was told that they where all Hempstar when I bought them, but now that I am almost done with flowering the clones, I can see that 1 is completely different than the other two females. So the bushier two I believe are Hempstar. But the tall, lanky one.... I have no idea. 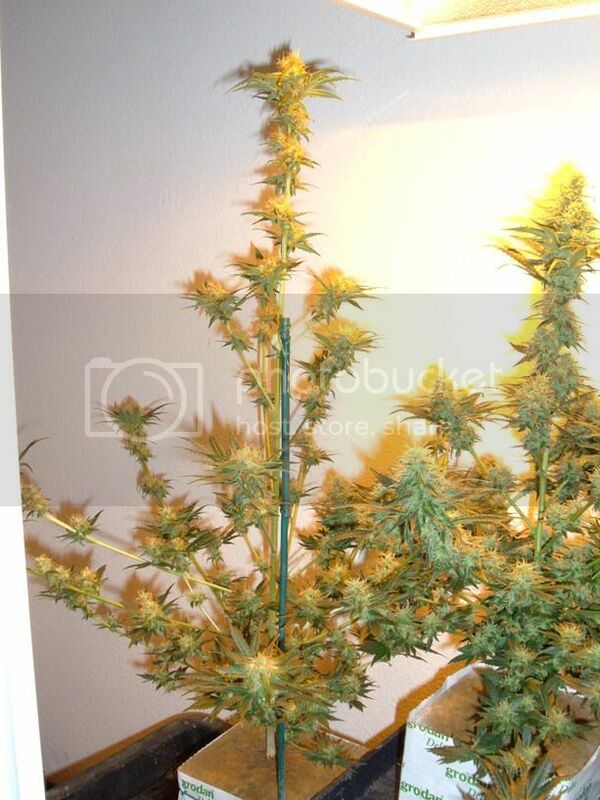 Your tallest female is IMO a haze pheno (more haze genetics) hence the tall size, smaller buds and less yield. From the close ups, I notice the abundance of white hairs, compared to the other, which are almost all orange. 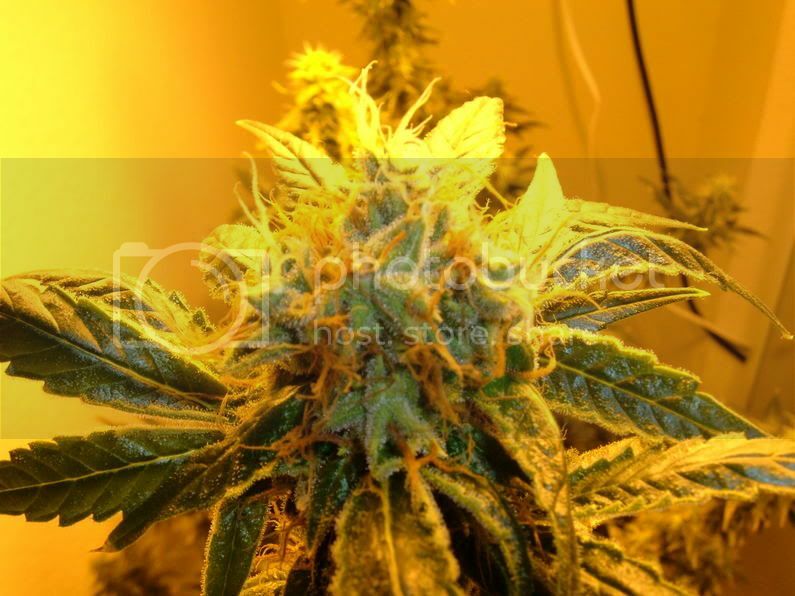 This suggests to me that a longer time is needed for this plant to mature and again this points towards haze genetics. 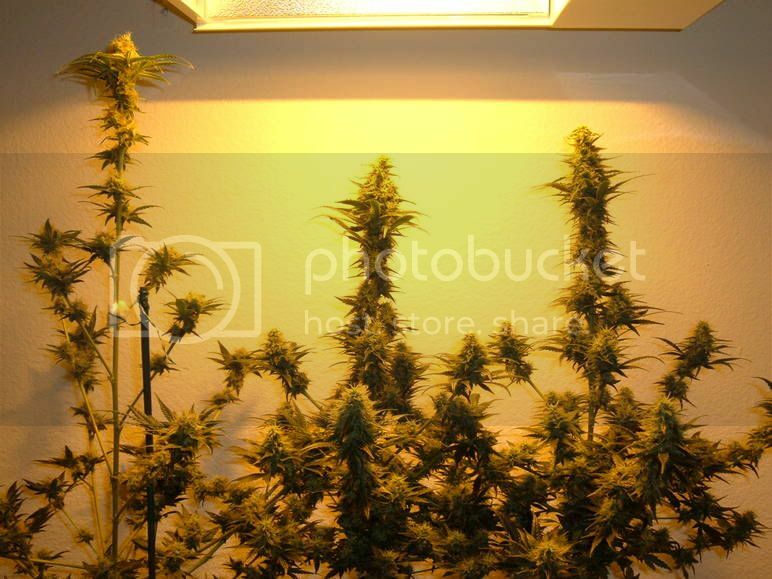 The taller plant is then probably the same type as the other two shorter females as the overall shape and branching formation look about same; also it seems that even though there is slight variation, they are all roughly at around the same height. I can now see better pictures of the larger female now (on here! ), it is very orange indeed. 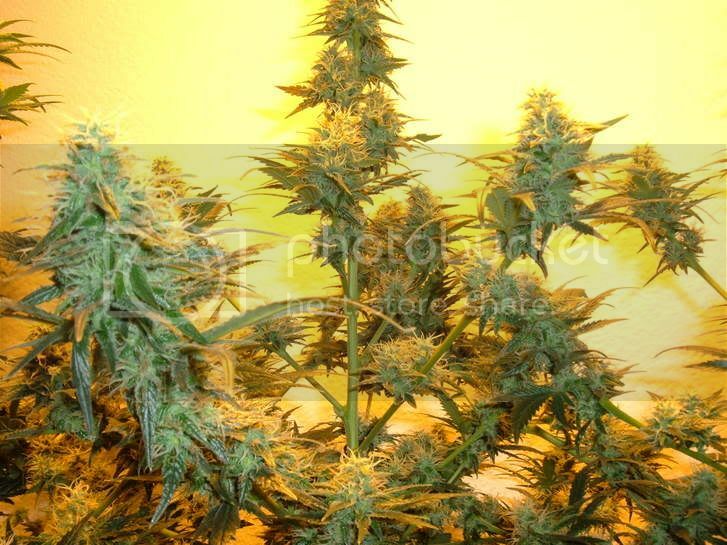 I totally agree with you that she is maturing faster, compared to the other two females, despite the fact they look more indica influenced by their dense bud formations. 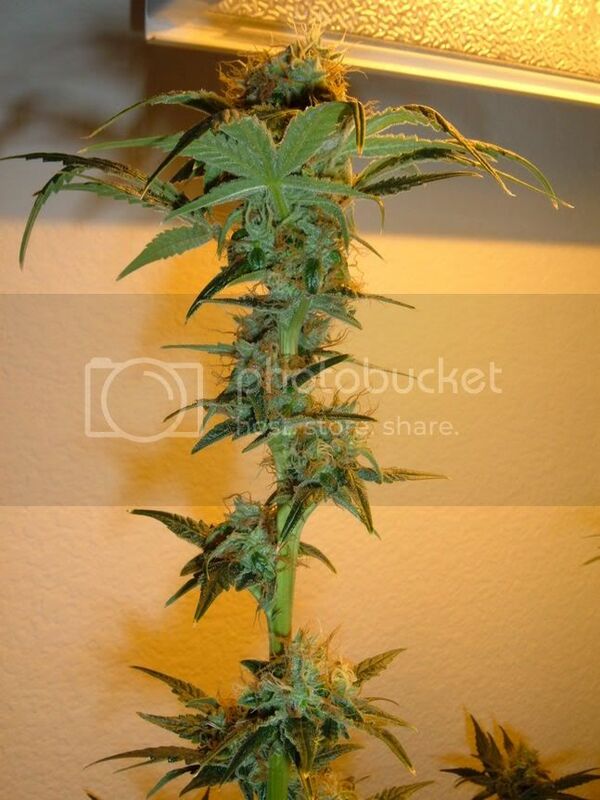 when you cross that haze with any plant you get that tall character, we used to cross that haze with a nl in hawaii that plant would be 4 meters sometime 4.5. Warrom is de engels taal, ik denk dat deze site is NL.